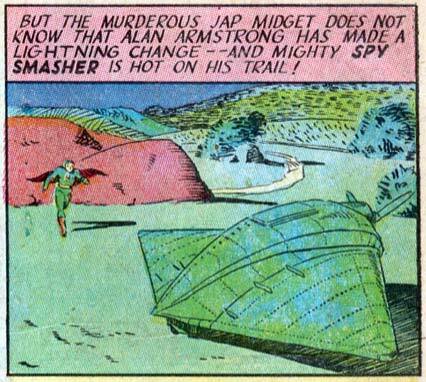 Random Panel: Foolish murderous Jap midget! 5 Responses to Random Panel: Foolish murderous Jap midget! Hey! That’s not a condor! wait what!? this makes no sense! P.S. I need to go jump kick a bear! Spy Smasher? Who are his allies? Soldier Destroyer and Assassin Assassin?